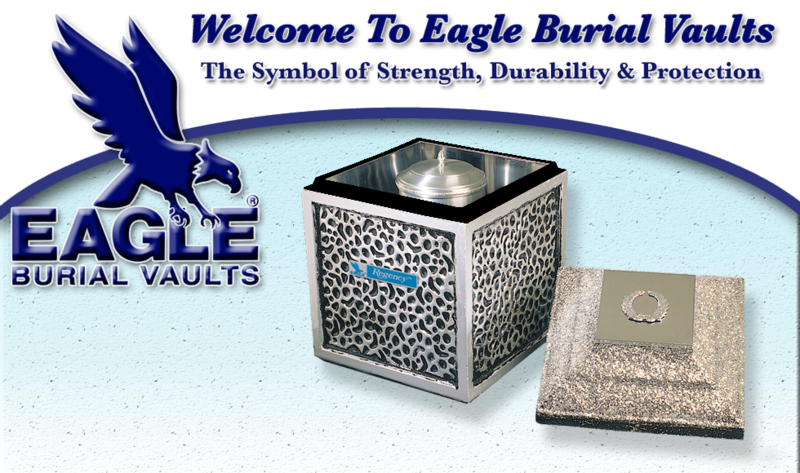 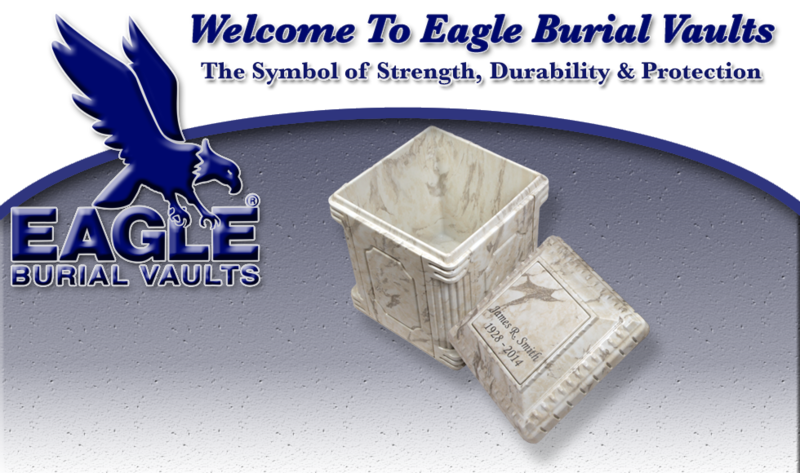 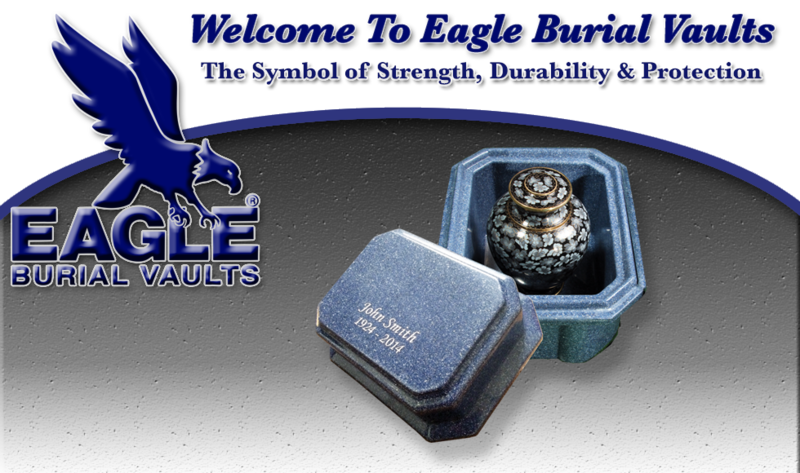 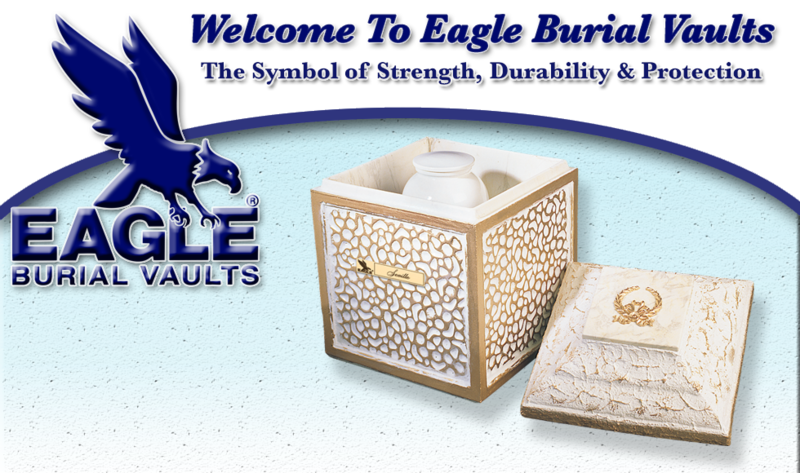 Eagle offers a variety of burian urns and urn vaults, all made with the unmatched quality and protection Eagle has provided for over 75 years. 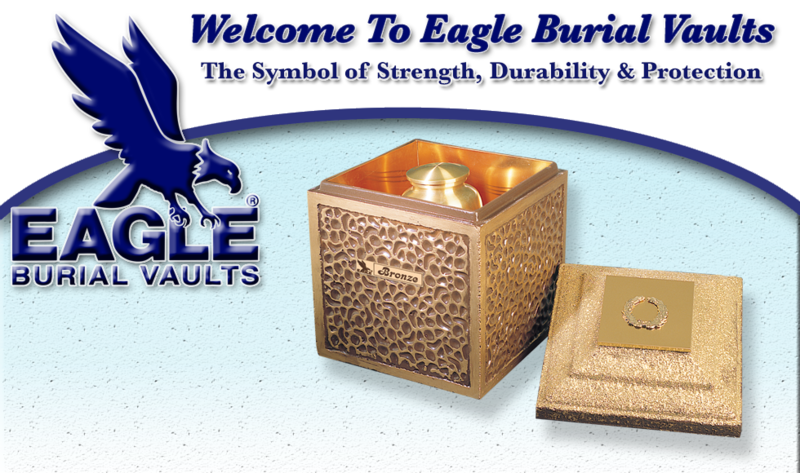 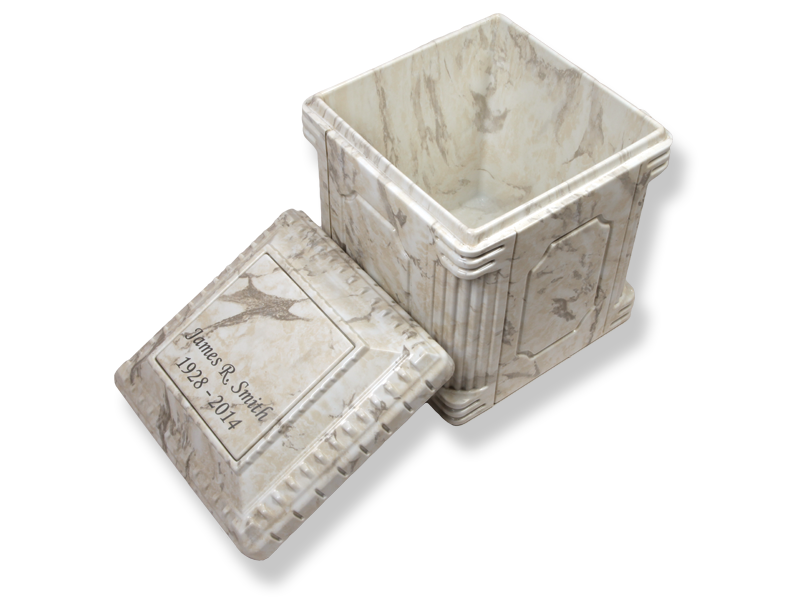 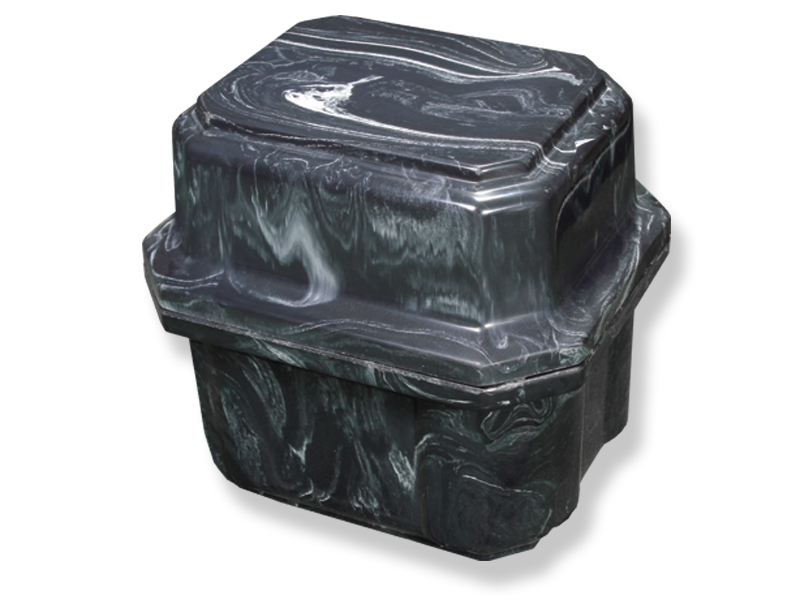 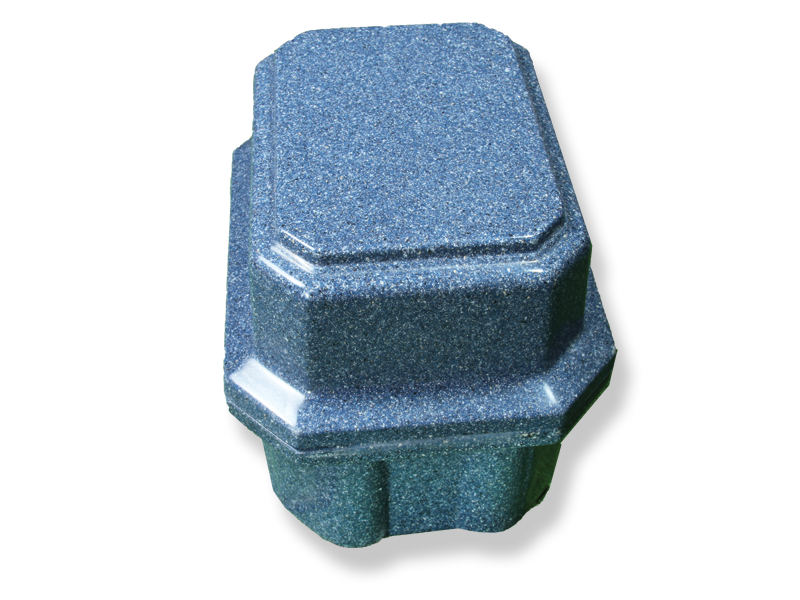 Eagle is proud to introduce The Omni Line as the new standard in cremation burial urns. 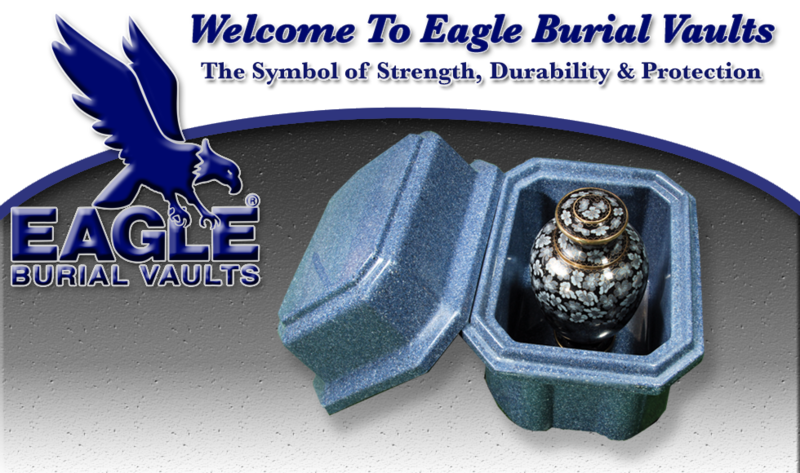 The Omni is molded using a synthetic polymer, utilizing the latest manufacturing techniques, and is so incredibly strong and water resistant, Eagle backs it with a limited 50 year warranty. 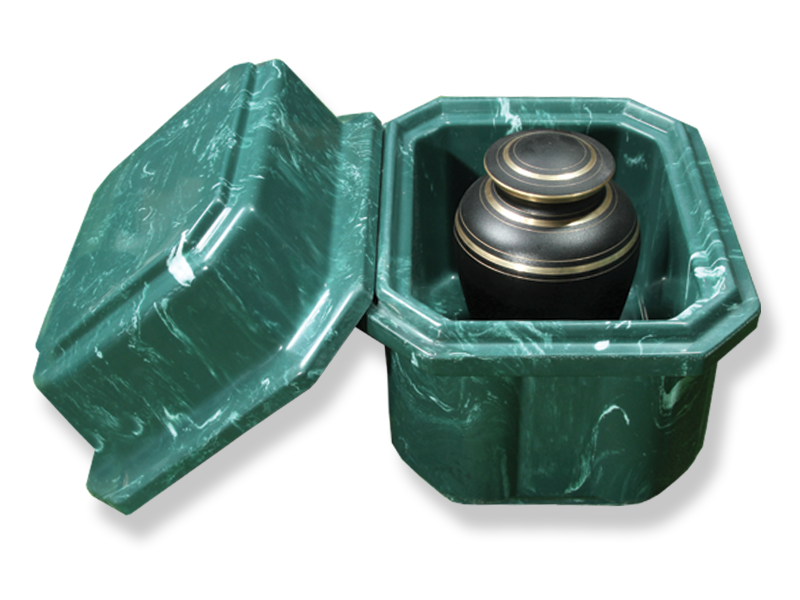 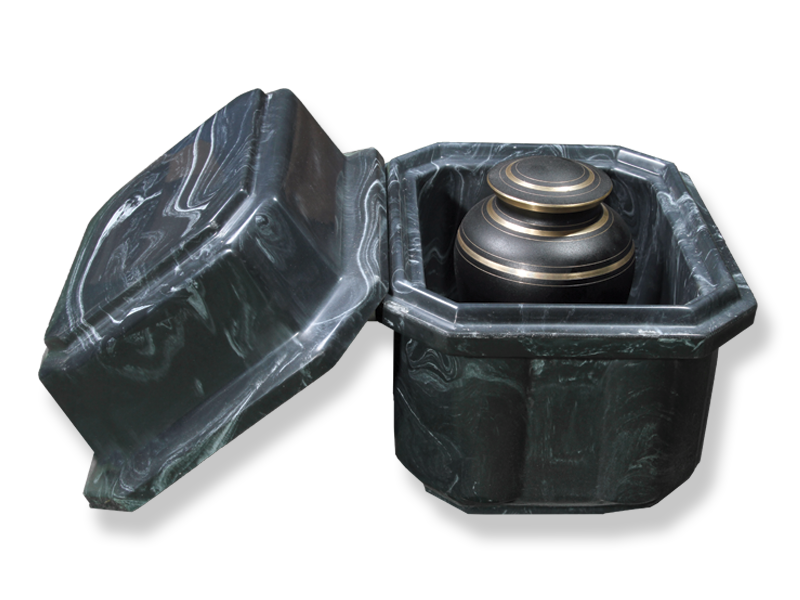 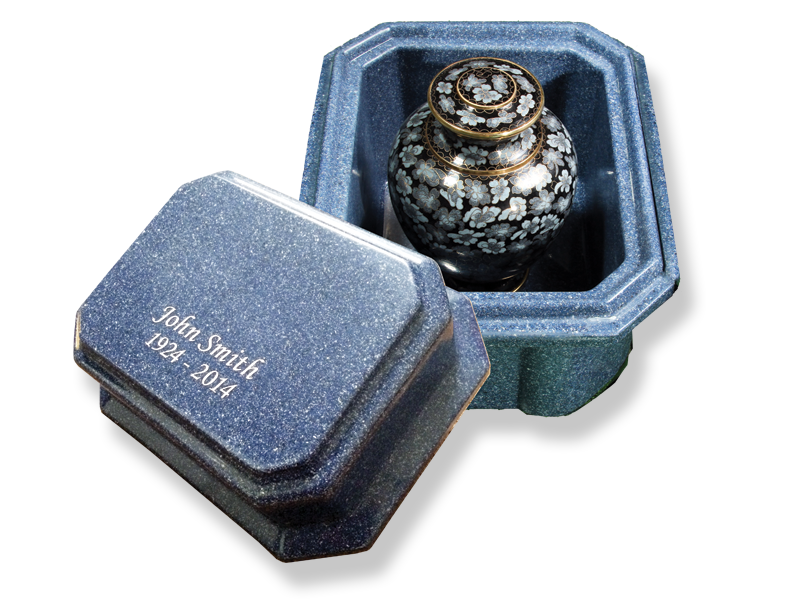 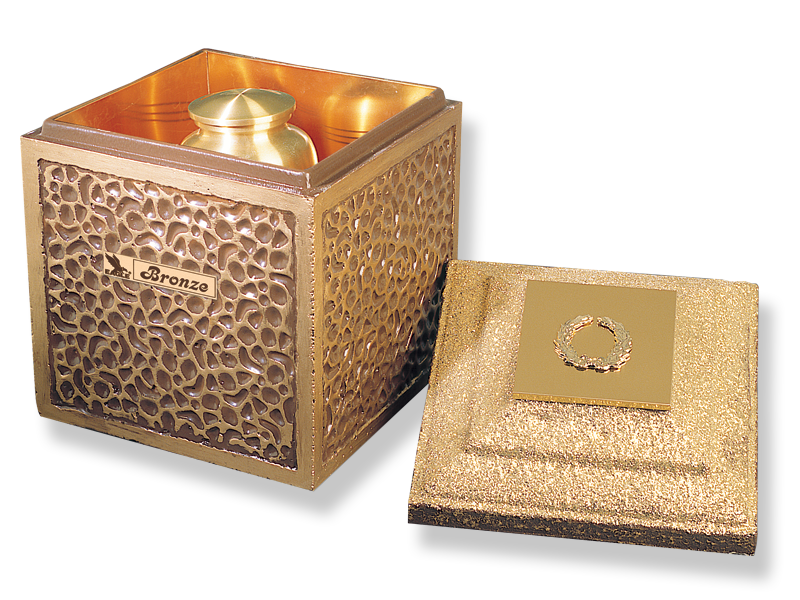 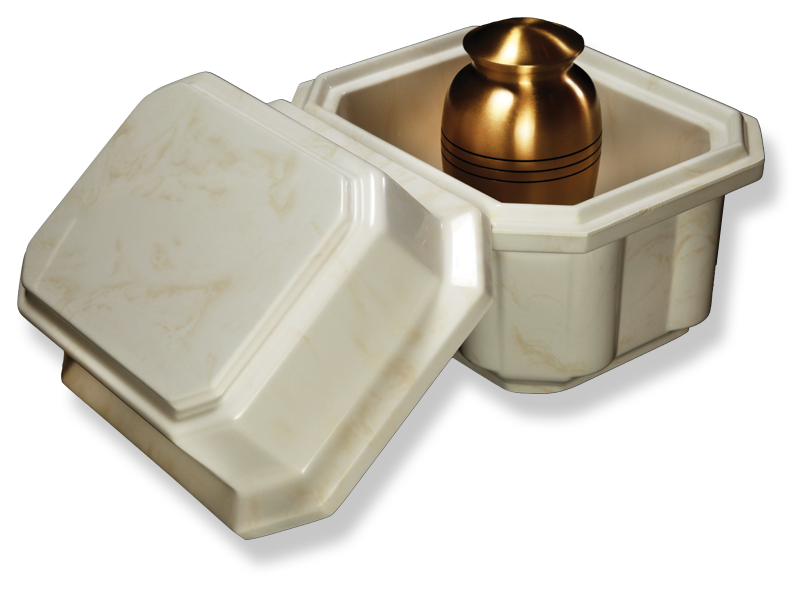 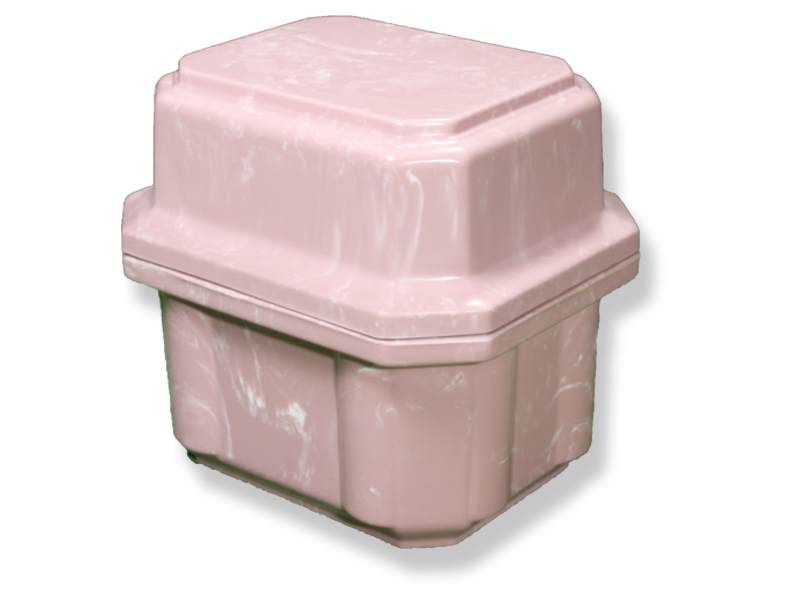 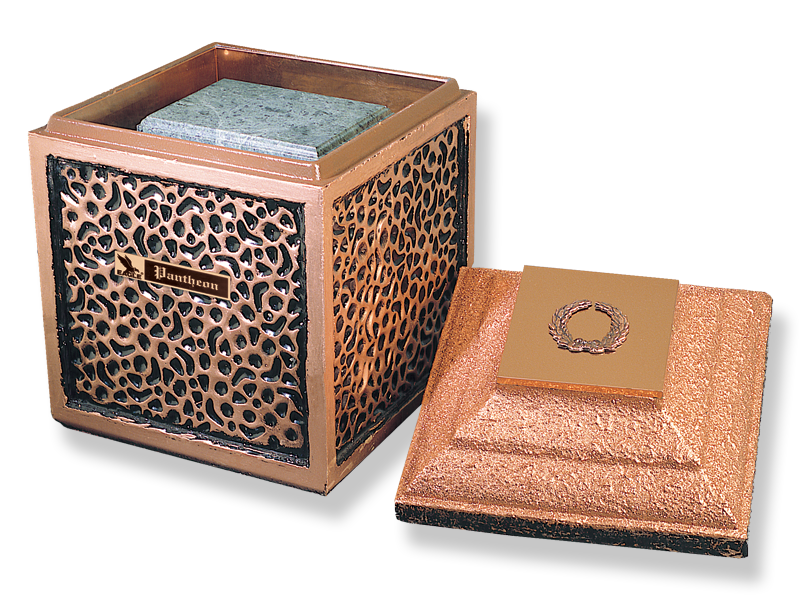 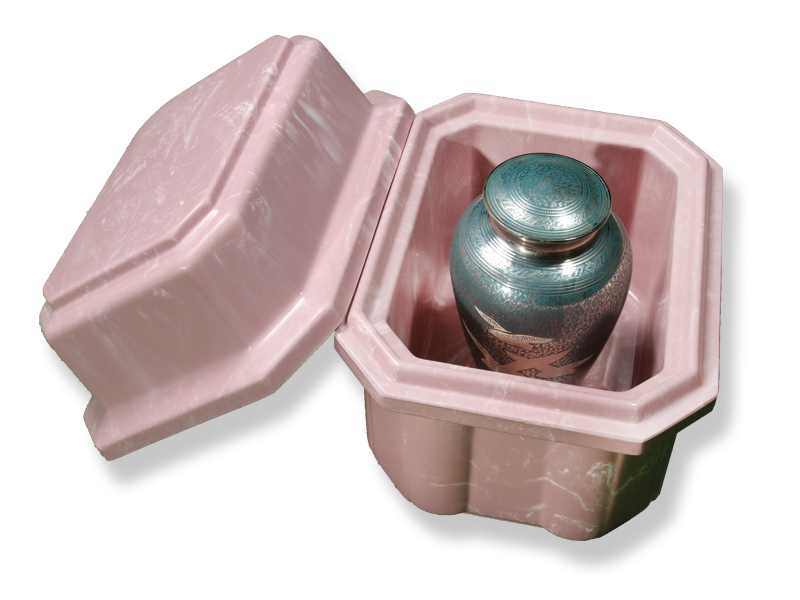 The Omni is designed to accommodate a wide variety of cremation urns, or the cremains can be placed directly inside the Omni for burial or storage. 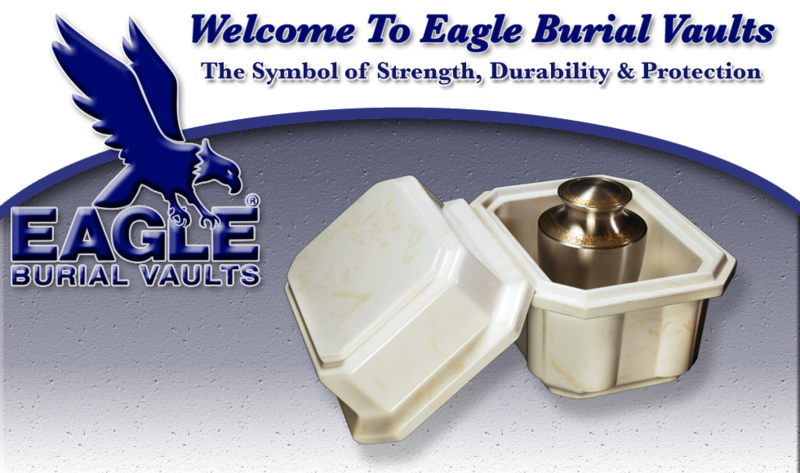 We also use a tongue and groove design with a sealing compound to bond the base and cover into a single unit. 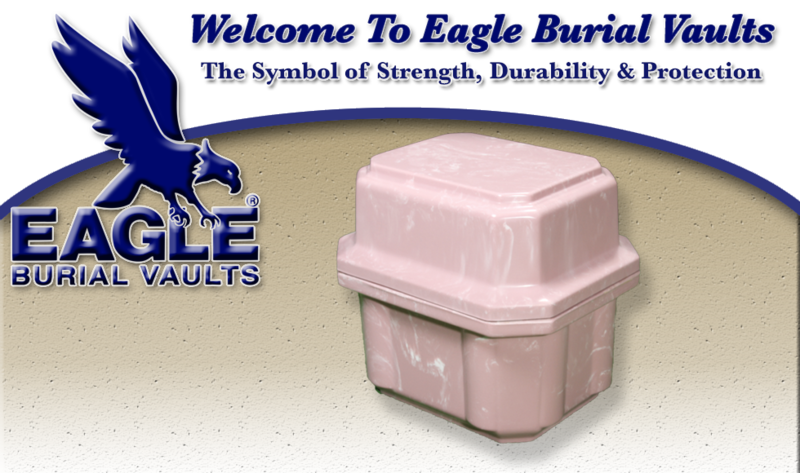 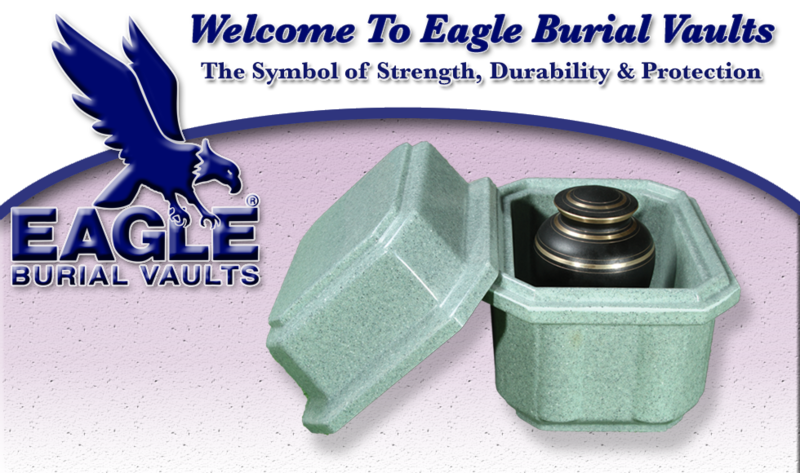 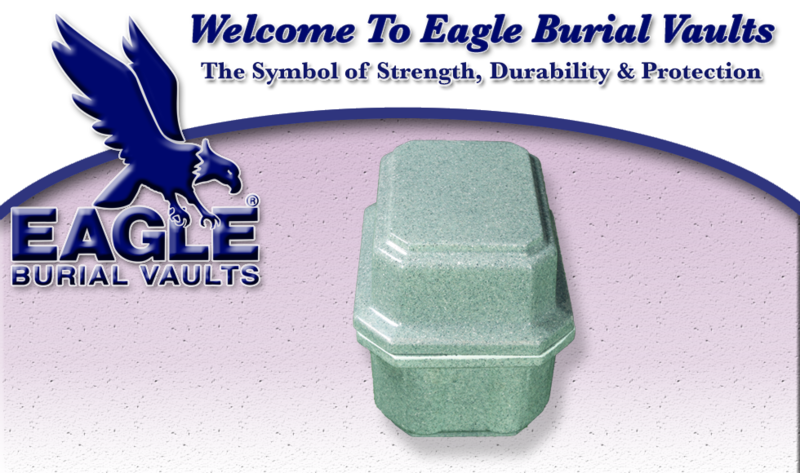 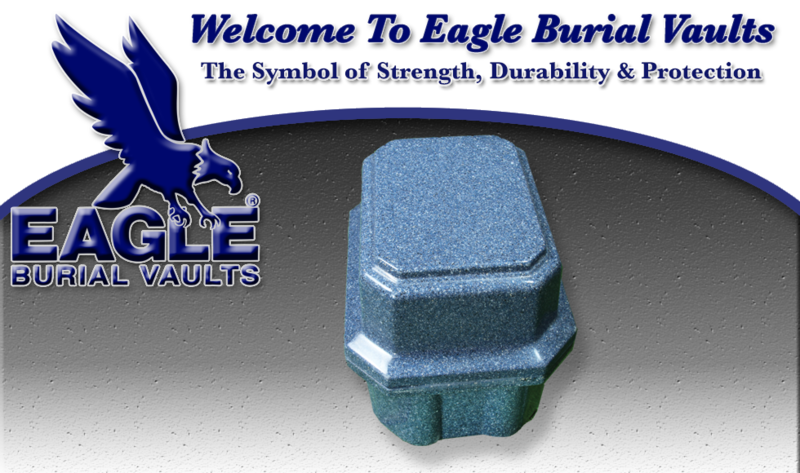 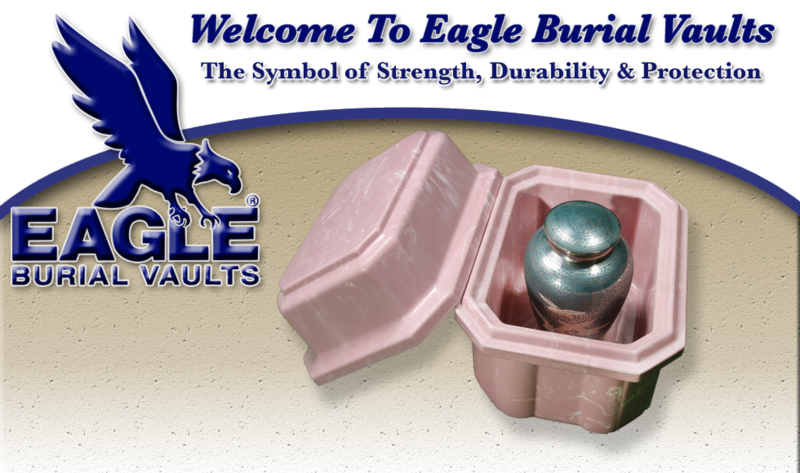 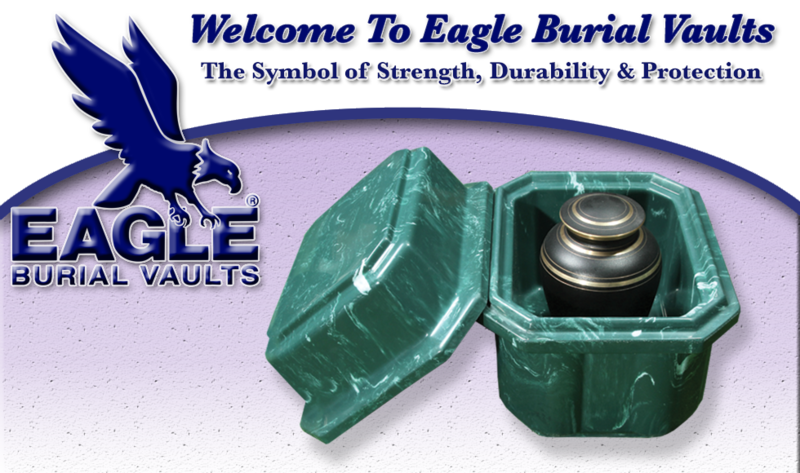 The same quality construction that makes Eagle burial vaults so strong and durable goes into every Eagle urn vault. 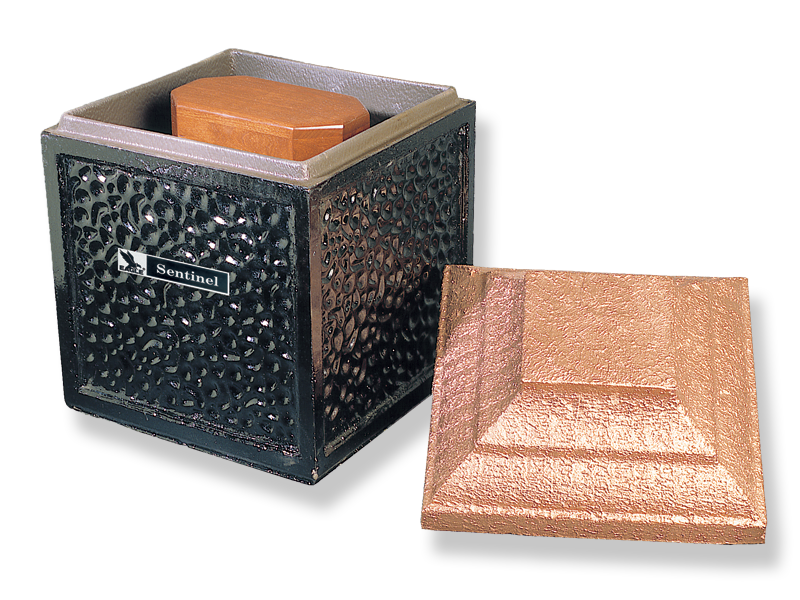 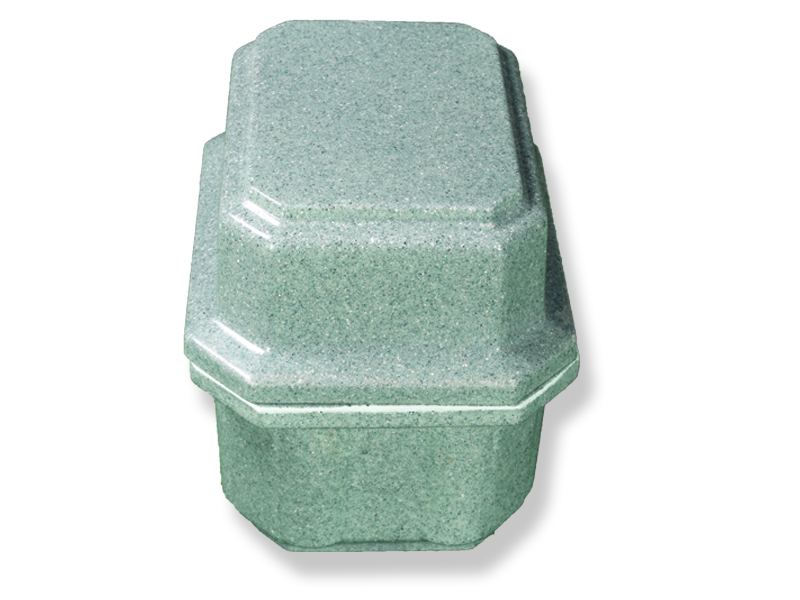 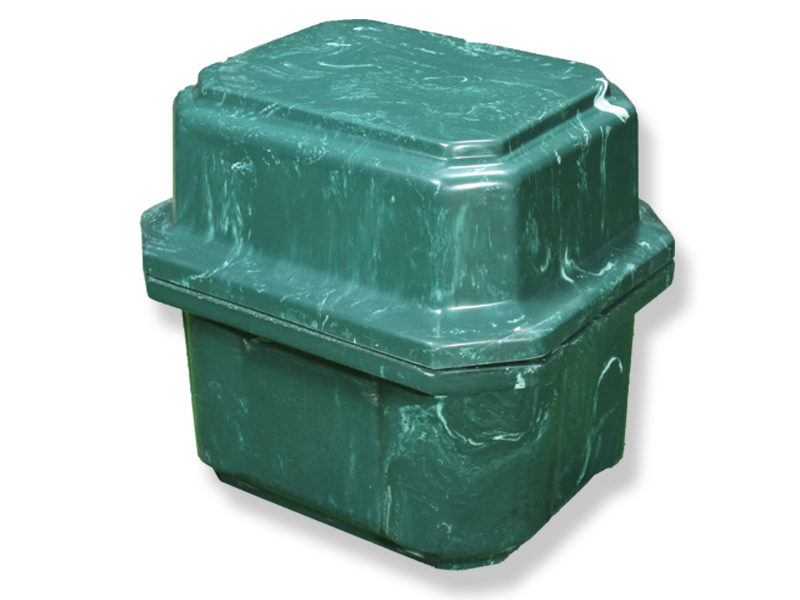 The Sentinel Urn Vault is manufactured using our exclusive duratite or martite inner-liner bonded to a high-strength concrete outer shell. 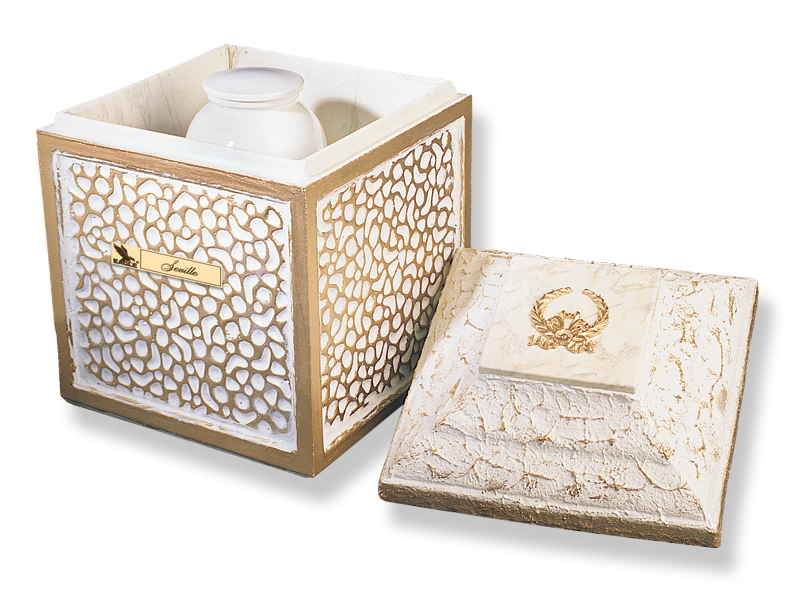 They also have a generous interior (12”L x12”W x 16”H) to accommodate almost any urn, yet the outer size (15”L x15”W x 20”H) and weight (under 120 lbs.) 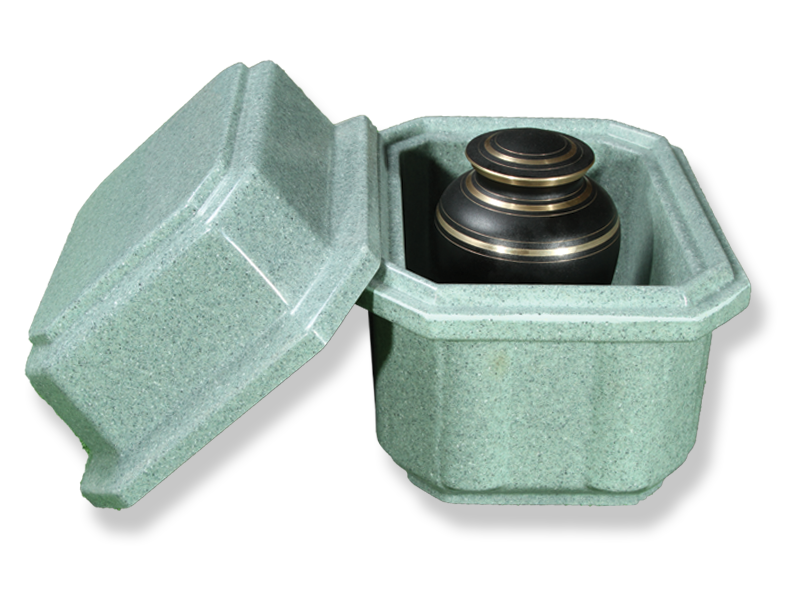 allow relative ease of handling and installation. 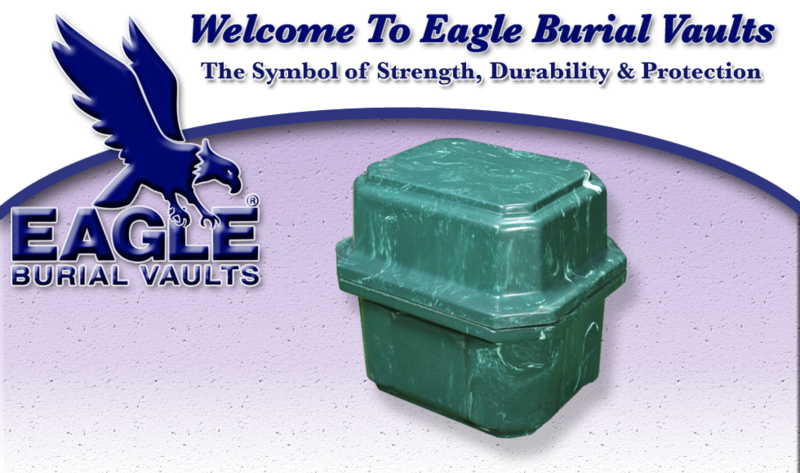 You'll feel secure in your choice with Eagle. Bronze and brown finish with bronze metal liner and matching metal lid cap. 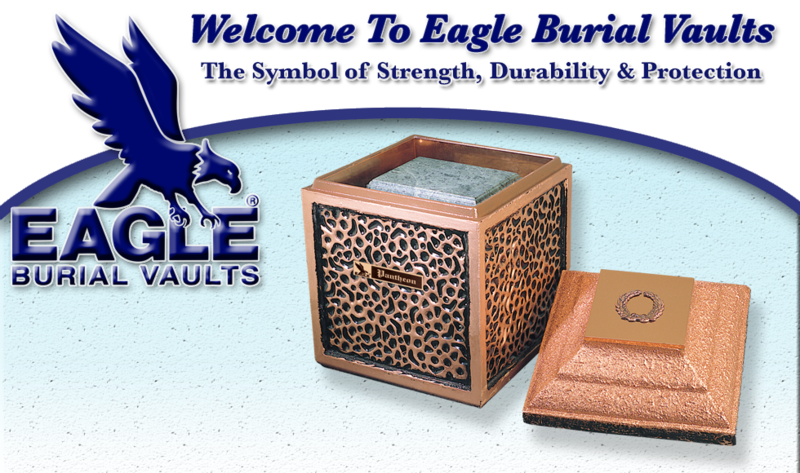 Copper and black finish with copper metal liner and matching metal lid cap. 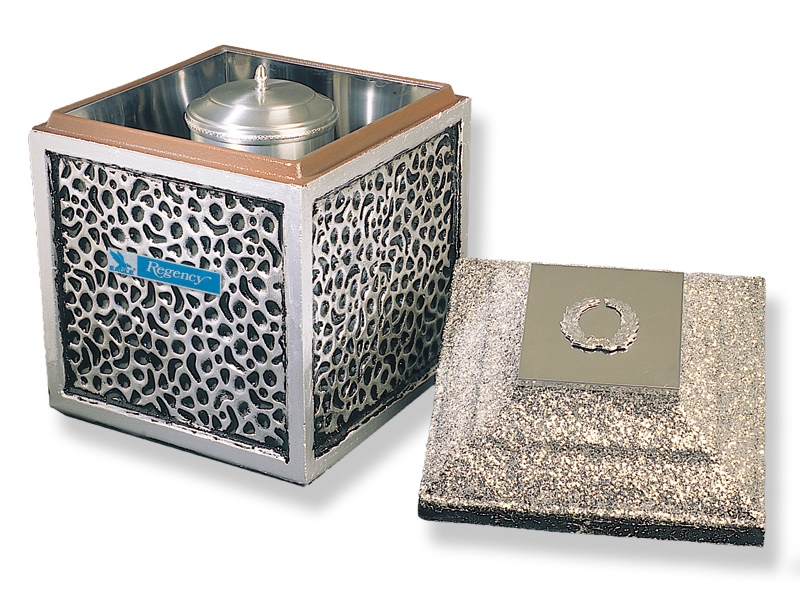 Silver and black finish with polished stainless steel metal liner and matching metal lid cap. 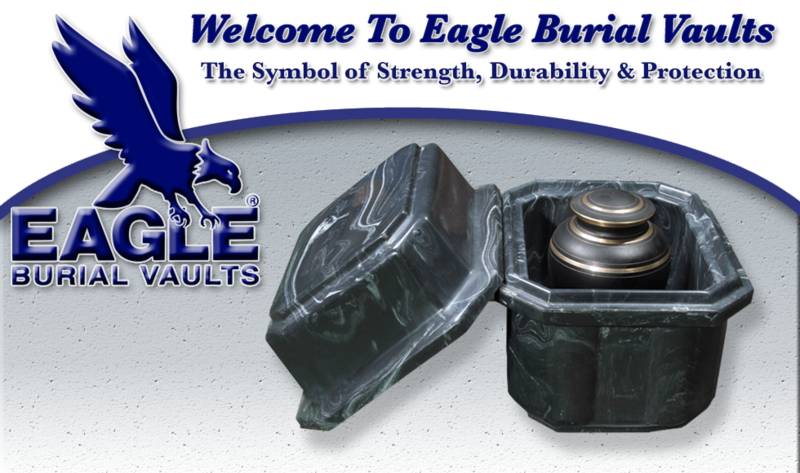 Three layers of strength and durability. 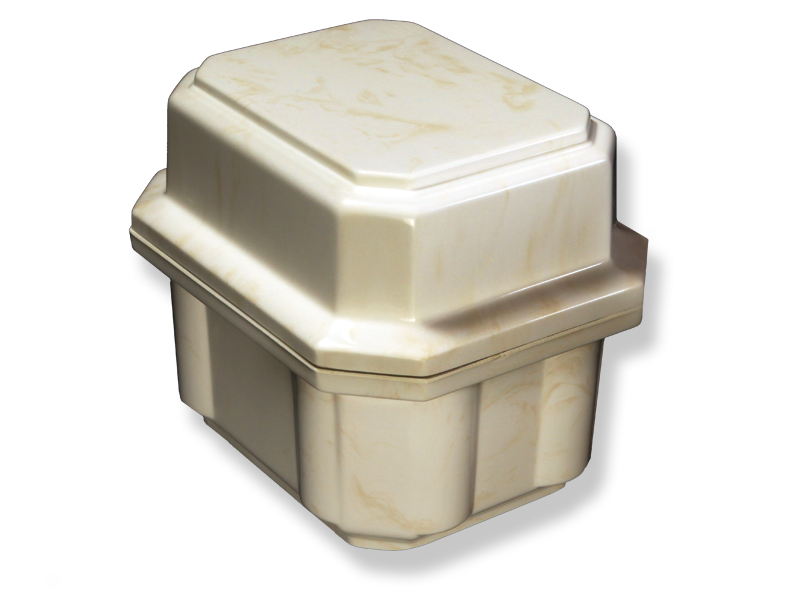 Embossed lid design, filled with reinforced concrete. 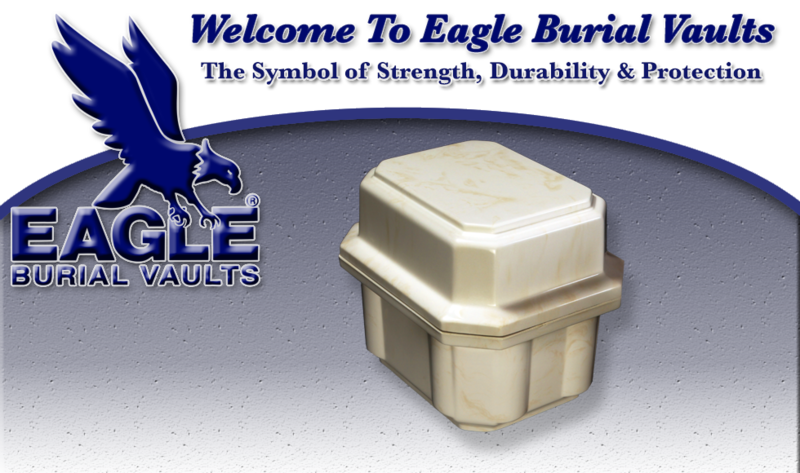 Gold and white finish with white martite liner and matching lid cap.